Definitely a mixed bag in this week's edition of the PC sales charts. Lich King sits atop the NPD charts, while on both Steam and Direct2Drive, EA games are punching above their weight. 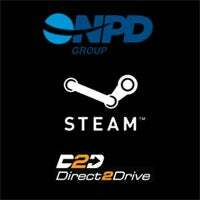 Example: Mirror's Edge, which came in third on Steam (and second on D2D), and LotR Conquest, which tops the Direct2Drive charts. Mirror's Edge is a feel-good story, as the PC version is quite a step up from the console iterations, while LotR Conquest is...The Lord of the Rings: Conquest Review: Not So Much">testament to the pulling power of the franchise.